The Armed Response book is a comprehensive guide for using firearms in self defense in life threatening situations. Covers many aspects of concealed carry, choosing the firearm that is right for you, choosing your holster, training techniques, legal issues and the use of lethal force and much more. 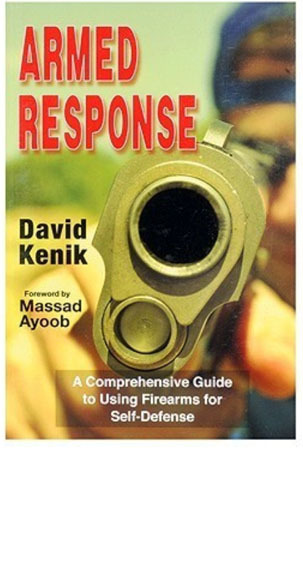 This book is written by David Kenik with a foreword by reknown firearms expert Massad Ayoob. 192 pages with 175 photo's and illistrations.